GET an affordable design and preliminary cost to develop a feasible strategy. Tweak & Modify Design & Building Costs - as much as you need. 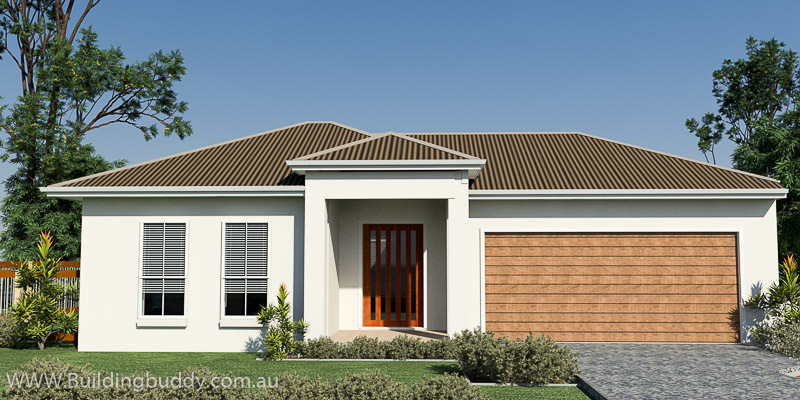 Begin Your Lowset Home Design Journey With our Special House Design and Cost Planning package. We all need a place to start. The beginning can come from an inspiring street appeal, or an elegant internal layout. A single design element can encourage the composition of that perfect home. Or, an entire home layout can be distilled into a single theme that gives birth to a brand new creation. Trying To Balance Home Design, Lot Shape, and Budget? Use One Of Our Custom Lowset House Plans. It is a general belief that good home design is product of thinking "outside the box". Nothing could be further from the truth. All great art: Haikus, Sonatas, Religious Paintings ... are created despite restrictions ... size, medium, resources. Your dream home can become an ungly duckling if you don't bring balance to bear. Work within the constraints of your land, budget, and use consistent design principles. Because we do the design work for you, your plan is prepared independent of any builder. While it is true that we have a trusted panel of builders; you are not obligated to use any of them. This means that you can control the costs of your home, and are not hostage to a "process" that is characterised by constantly increasing prices while you are building. We insist on fixed priced contracts. In the unlikely event that prices go up during the preliminary process, we will help you migrate your project to any builder you choose. It is hard get a more control than that.